Near Berwick-upon-Tweed, Northumberland in the north of England and close to the Scottish Borders. 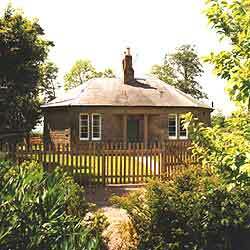 One of the highest quality self catering holiday cottages and lodges in Northumberland. Beautifully furnished rooms with all modern facilities, close attentive service and plenty of privacy. For up to 4 guests, this ground floor easy-access accommodation has two bedrooms, one double, one en suite twin, a bathroom/shower, lounge and kitchen/dining area and is ideal for families, couples, pensioners and the disabled. 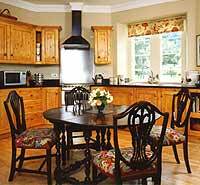 Facilities include a double oven, dishwasher, fridge/freezer, microwave, colour tv & video and CD player. Services include a food hamper on arrival along with frozen food, ready-cooked meals and a choice of wines. 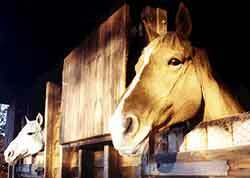 Local activities include a local tennis court, riding stables and a well equipped garden play area for children. Other activities include fishing, cycling, gliding and golf. Tourist attractions in this historic peaceful Northumberland region include Holy Island, Berwick-upon-Tweed, several superb castles, Border Rievers landmarks, Hadrians Wall, the Scottish Borders and Edinburgh. From the pretty garden you can watch the sun set over the sweeping Cheviot Hills and the Eildons, whilst looking north you can see and the Lammermuirs of the Scottish Borders. You can stroll along the nearby lanes and smell the flowers, hear the birds singing and enjoy the peaceful farm scenery. 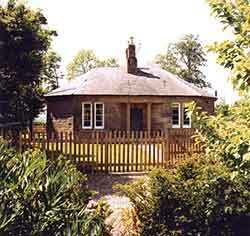 There are frequent trains from The North and The South to Berwick-upon-Tweed where taxis and car hire are available. There are also frequent flights from Heathrow and Gatwick airports to Newcastle-upon-Tyne and Edinburgh. Average journey times are 1 hour - see www.pti.org.uk for all UK travel info.